These beautiful Suminagashi knives with western styled handles were designed by us with high effort. 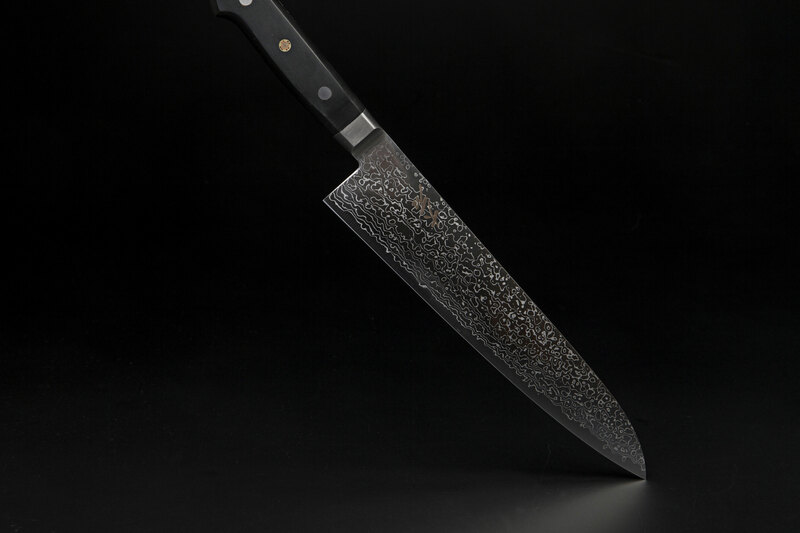 The mosaic pin in the middle of the handle is exceptional and gives these knives the “special touch”. Core: SG-2 Powder metallurgical Damascus steel, hardened to HRC64-65. Blade: A forged closed bolster connects the blade to the handle. Handle: Black Micarta wood, triple riveted tang. Special mosaic pin in the middle.